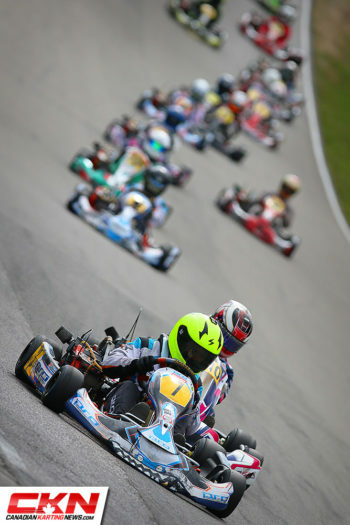 Demaras: The Wall Just Kept Coming at Me – CKN | CanadianKartingNews.com | Because Karting is a way of Life! I’ve crashed before. It was turn one at Goodwood Kartways. The wall just kept coming at me. Going flat out into a turn, throwing your kart into the corner, finding the limits of grip while trying to pass another racer can be a little scary. 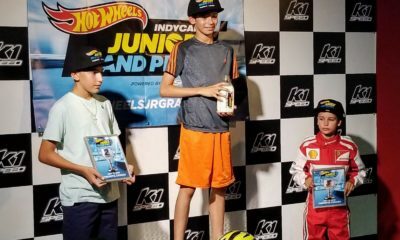 This summer, I had one of the most nerve-wracking experiences of my racing career. 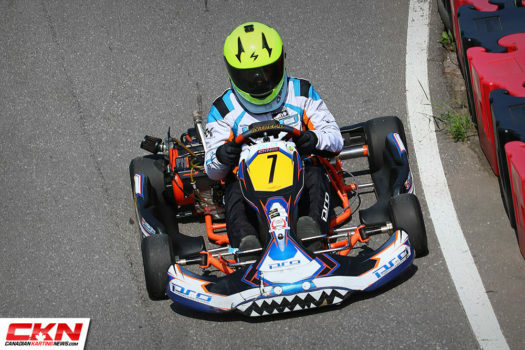 At the CRFKC Briggs & Stratton Summerfest at Mosport Kartways, I was randomly selected to start P1 in the first heat race in Briggs Sr. In my year and a half of club racing, I’d never started at the front, certainly not on pole ahead of nearly 50 other drivers! Sitting on the grid in the baking hot sun, I felt sick to my stomach. Despite all the advice I got from my mechanic Christopher [Proietto], from my team boss Darryl [Timmers], from my old team boss James [Treadwell], I was still super nervous. I was afraid. As we rolled out of the pits, I started to play out possible scenarios in my mind. Best-case, I’d get a perfect start and keep the lead. Worst-case? 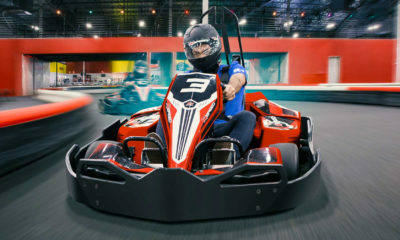 I’d get passed, spin, or get trampled by the karts behind me then die of embarrassment. OK, this wasn’t likely, but the fear of failure almost made me feel physically sick. The formation lap is supposed to be taken at three-quarters speed. But I was so nervous, I just took off full speed. Down the hill approaching the tower, I had five kart lengths on the second row before we even reached the starting line. I saw the flagman shake his head at me and wave it off. I blew the start. After that aborted start, the green flag was shown. 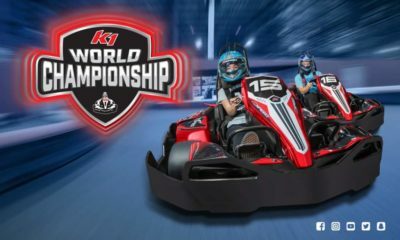 I felt pressure from the karts behind me, but I didn’t leave the door open at the braking zone. I made it through the first corner, then through the esses and kept the lead onto the back straight. Then I remembered to breathe. My nerves got the better of me, and while in a battle for position with a quick driver, I put a wheel in the dirt and lost the position. My time leading a major race was over. I was scared. A massive grid of skilled drivers. A position I’d never been in before. I felt totally uncomfortable and I was on edge, but I’d faced my fear even if the result wasn’t a win. Fast-forward a couple weeks and I’m at Goodwood Kartways at a TRAK race with random order heat races. I checked where I was starting, and it’s outside, row one, P2. This time, I wasn’t scared. I had done it before! As the start got closer and closer, instead of feeling sick like last time, I was totally excited. As I chatted with the driver who was given pole position, he told me that this was his first time starting anywhere near the front of the grid and how nervous he was to be on pole. I knew I’d have to make a pass for the lead at Turn 1 at Goodwood Kartways. I went flat out into the turn, throwing my kart into the corner, finding the limits of grip while passing another racer. I knew that he’d be too scared to defend, just like I was a few weeks earlier. I’d made a pass for the lead and I was back in unknown territory; leading a race. I knew that fast drivers were charging through the field, and even though I was running alone, I needed to build as big a gap as I could. At the same time, I was mortified that I’d make a stupid mistake and throw away the win. Your mind can start to play tricks on you at a moment like that, but I just focused on my racing line. With two laps to go, I lost the lead to a trio of drivers running in the draft. While I didn’t win the race, I’d lead laps for the first time ever. I didn’t let my fear get to me. I’ve crashed before, and I’ve seen other racers crash. There’s nothing more unnerving while on track than being red-flagged and watching the ambulance drive on track to pick up your competitor. Because when the race goes green again, you have to race knowing that what happened to that guy could happen to you. It’s impossible not to feel fear. But as a driver, you trust that you’ll turn in and that your kart will grip, even if you don’t think it will. If fear is what keeps you safe, being fearless is what will make you fast. 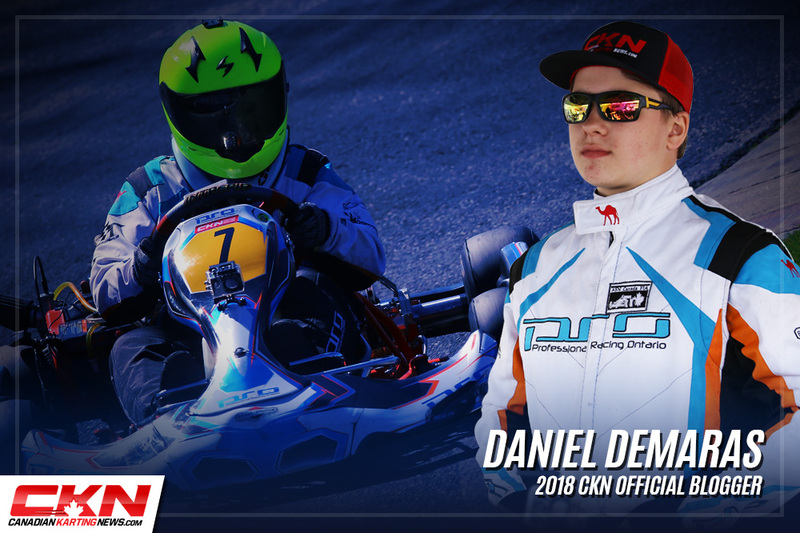 Fifteen-year-old Daniel Demaras will blog his experiences for CKN throughout the 2018 karting season. 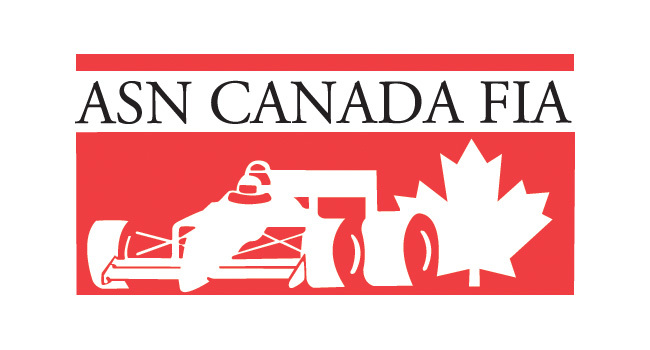 Racing for Professional Racing Ontario, Demaras will compete in Briggs Senior at a number of events in Ontario, including the Champion Ron Fellows Karting Challenge. Want to learn more about Daniel? Visit his website, http://demaras.com.